We Stock, and can arrange fitting on, the most popular Solid Fuel Freestanding Stoves from Boru, Waterford Stanley, and Dimplex. Solid Fuel Freestanding Stoves There are 26 products. 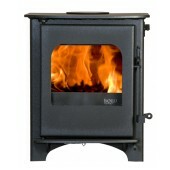 Boru 4kw Stove City Style 4kW Freestanding Dry Stove, Ideal for city dwellers.